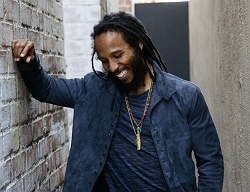 Subject: LongIsland.com - Your Name sent you Event details of "Ziggy Marley at WHBPAC"
Ziggy Marley's joyful, mellow grooves are highly contagious! Heir apparent to the Marley Family musical dynasty, he's a six-time Grammy winner, an Emmy Winner, humanitarian, singer/songwriter and producer. On his new album, Fly Rasta, Ziggy marries his own distinctive reggae sound with elements of psychedelica, rock, funk, soul, and pop, and tells stories with an innate sense of soul.